As mentioned in a previous post I did manage to get along to a few Fringe shows this year. All pretty good but this year’s favourite was ‘On Ice’ buy the Dutch writer/performer Suzanne Grotenhuis. Another performance that is a bit difficult to categorise. It told the story of how she had won an award for a previous theatre piece and used to the prize money to buy a portable ice rink (which promised to deliver 85% of the real skating experience). The performance was funny and engaging, drifting off in lots of different, seemingly unrelated directions that came together (sort of) to create a powerful and moving statement about loneliness. A fantastic piece, probably my second favourite Fringe show. My favourite curiously enough was by The Michael Clark Company. Anyway, a bit unusual for me, and probably my own fault for sitting in the front row to take photographs, but I was asked to help out with a trick that Suzanne was performing on stage. Well she wasn’t really performing it she was demonstrating how she would perform it after the whole audience had been skating on the portable ice rink (which we didn’t). 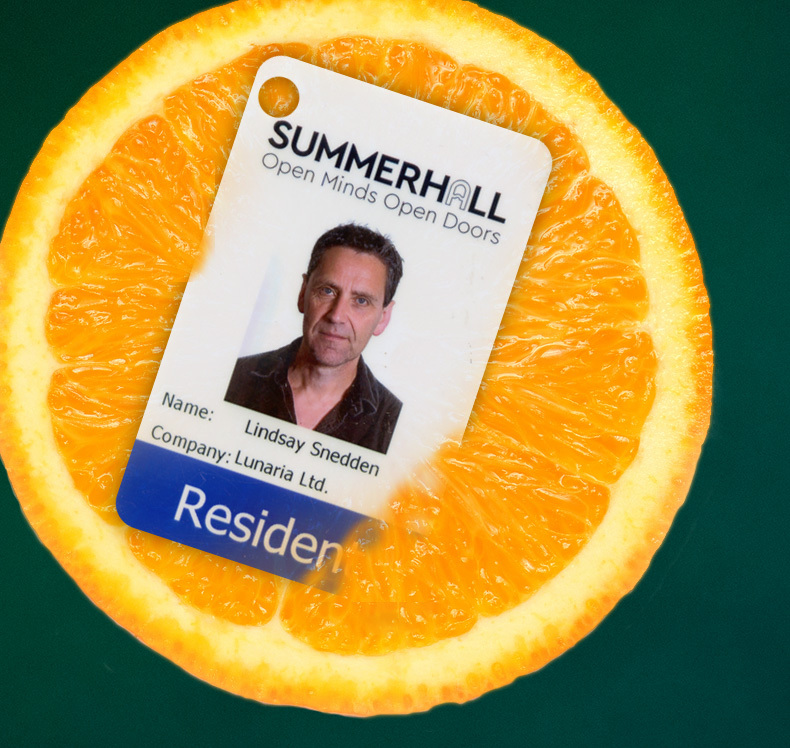 Regardless she borrowed my Summerhall pass made it disappear and then failed to make it reappear in an imaginary orange. So a bit of multitasking, taking photographs and performing (sort of), I suspect the pics are a bit better than my contribution to the show.